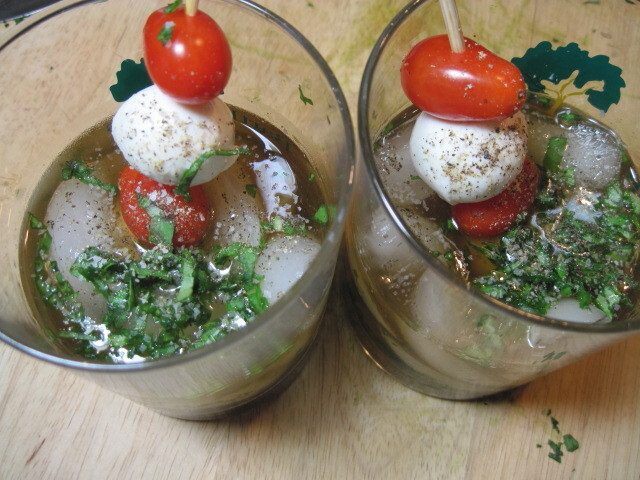 Trying to recreate all the great tastes of a caprese salad into a cocktail seemed like a no brainer to me. Next time I think I’ll add more basil (you add as much as you like) and I forgot to add the olives on the skewers, DUH, but all in all I think it was a winner and one we’ll serve again. Please come again, I enjoy when you visit! 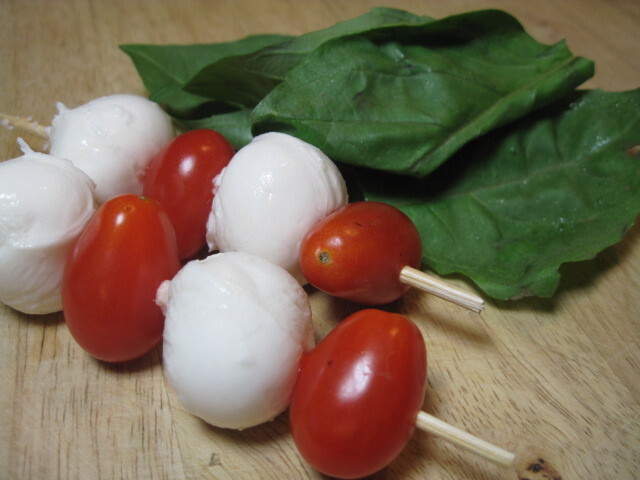 Your inventive Caprese Cocktail beats the heck out of V8! I love this! Great idea Renee! Ooh, this sounds drelish! 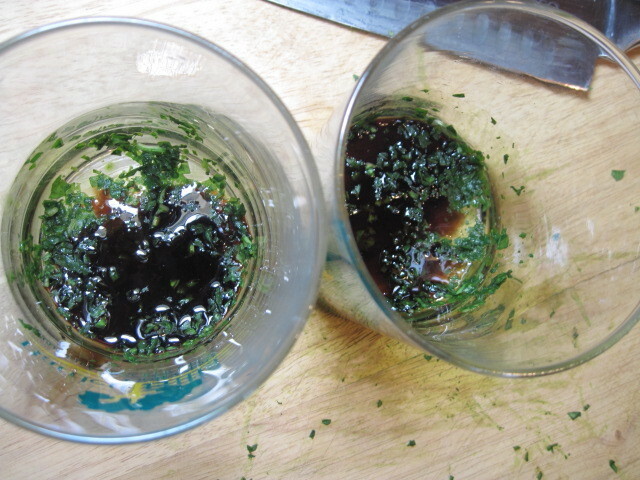 I love the idea of translating one of my favorite salads into a cocktail! Um, I would drink this even without the garnish. With the garnish? I'll take two, please! Wow! What an incredible idea! 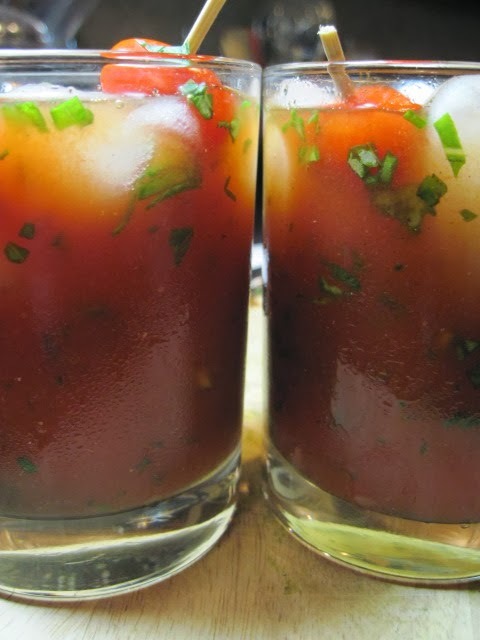 It's like a bloody mary on crack…Delicious!